I know of welding manufacturing companies that do not use WPSs, their welders are not qualified and their welders inspect their own welds! How can these companies get away with this type of practice? Ah Freestylin’! I find it’s best left to Rappers, Swimmers and Motocross and it doesn’t belong in the welding industry. I too have been in many Freestylin’ fab shops, they lack documentation on their Welding Process and their Welding & Inspection Personnel. That said, manufacturers are not required to weld to a code. The requirement for code compliance is something a customer/governing agency places on them. Typically, if I’m walking in the door, it is not to give awards for excellence in welding. It is usually to determine, Are they in compliance? and if not, How do we get them there? and What steps do they need to take to maintain compliance? Company B, just down the street, builds off-road construction equipment. They too have skilled welders. In fact, Company A and B share the same Welder training program. Company B’s people and process’s are backed and guided by all the right documents. Stimulus Funds are granted for a highway project and Company B receives a contract. Because of a tight time schedule Company B requests help from Company A. Now what? A down economy gets a lot of Fab Shops exploring other options and thinking outside-the-box. If they are Freestylin’, doing so can quickly have them in hot water. Company A now has their work cut out for them, but this is not impossible. Where should they start? 1.) Purchase and review a copy of the code. I’m surprised how many shops I go into that do not own a copy of the code they claim to comply with. Often, if they do, it is several revisions old. 2.) Qualify the Inspector(s). Someone’s got to be prepared to make the call as to whether welding is acceptable or not. Codes require that the qualification of the inspector be documented. This can be a Technician or Welder with the required background and knowledge, or a Certified Welding Inspector. 3.) Develop the required weld procedures (WPS). 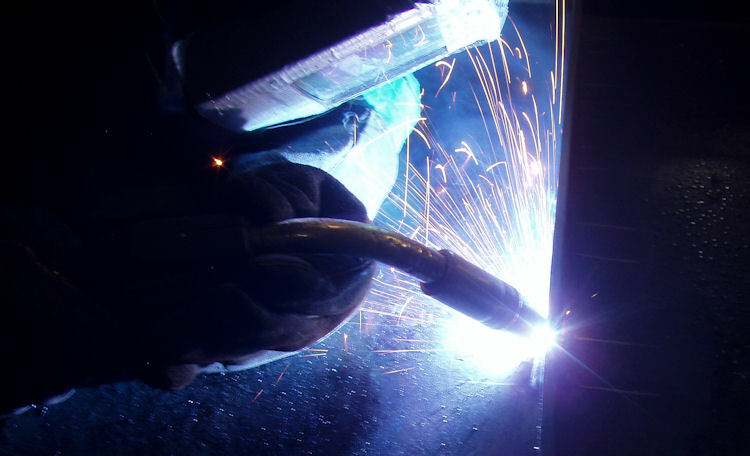 A skilled Welder working with a qualified Inspector should be able to quickly produce the Procedure Qualifications (PQR) needed for the products to be welded. 4.) Qualify the Welders. Keep it simple. I’ve been in shops that require their welders to be qualified in all positions for all thicknesses, but they never weld in the overhead position and never weld groove depths greater than 3/8 inch. You can loose a lot of good welders to an all position, all thicknesses test. 5.) Maintain the Welders and Inspectors qualifications. This is done by documenting their involvement in any 6 month period and monitoring their quality. Freestylin’ I suspect companies just evolve that way. Maybe they started out small and grew faster than they could keep up. Perhaps they were in compliance at one time but the employee that managed compliance moved on and no one picked up the ball. However they got there, it’s a risky way to run a business.